Washington, D.C. The best route is the ‘Memorial Run’, starting at the Washington Monument and heading out to the Tidal Basin. 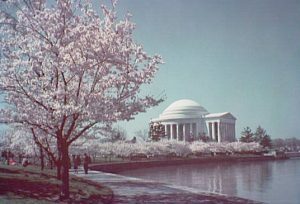 Cherry Trees line the area near the Jefferson Memorial. See our Washington, DC running guide for full explanation, map, and details. 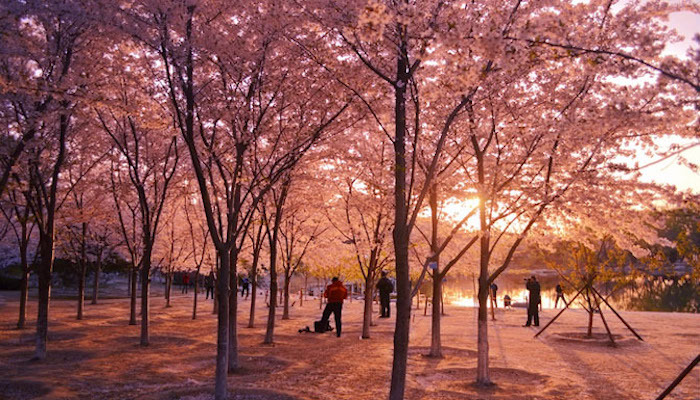 Another path lined with cherry blossoms is to extend the Tidal Basin run into Potomac Park. It’s ~2 miles one way from the Jefferson Memorial, along the trails paralleling Ohio Dr. to Haines Point. Koganei Park. 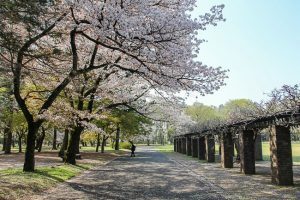 Lovely park in Tokyo’s western suburbs, with a garden containing 2,000 cherry trees. Marked 5k loop, part of it paths lined with cherry trees. For a longer run, combine with a section of the Tamagawa Josui canal trail, just to the south. Park info and map. Meguro River. Some 800 cherry trees line this 4k path along the Meguro River. Accessible from Meguro, Ebisu, Gotanda, and Osaki stations. There are plenty of shops and restaurants along the way, making the overall atmosphere here very pleasant. Beijing. 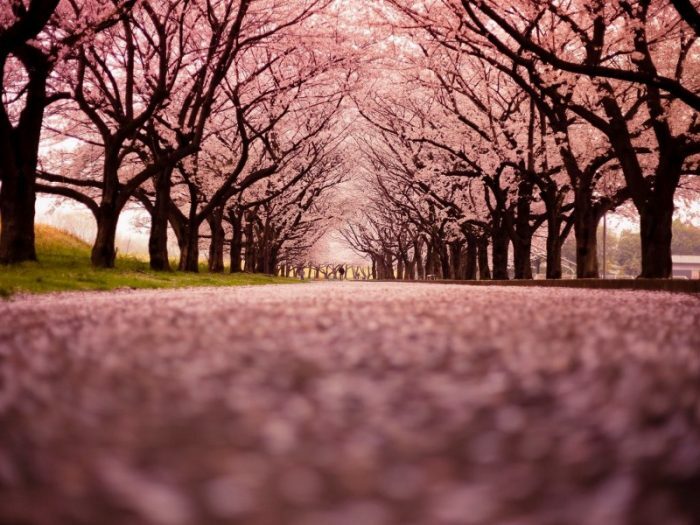 Cherry Garden in Yuyuantan Park (Jade Lake Park) is famous for its cherry blossoms. In the spring of 1973, 180 cherry trees were sent as gifts from Japan and were planted in the garden. Later on, more and more cherry trees were cultivated here. Today the garden has been the home for over 3,000 cherry trees. 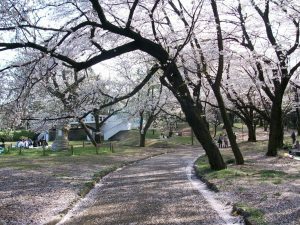 When cherry trees blossom in early spring (from late March to early April), tourists pour into the garden to enjoy the beautiful flowers. Metasequoias and bamboos flourish in the garden making Cherry Garden a wonderful place even when cherry blossoms are not in bloom. Liuchun Garden is another treat in this park. There are lovely trails in the park. MAP of 4 mile run in Yuyuantan Park.